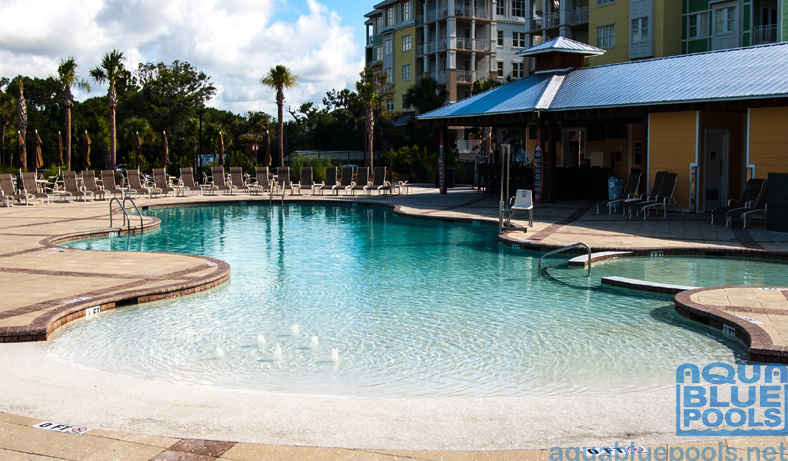 This beach entry pool at South Carolina’s beach resort knows as Wild Dunes has a new special events facility, Palm Cove at Wild Dunes. 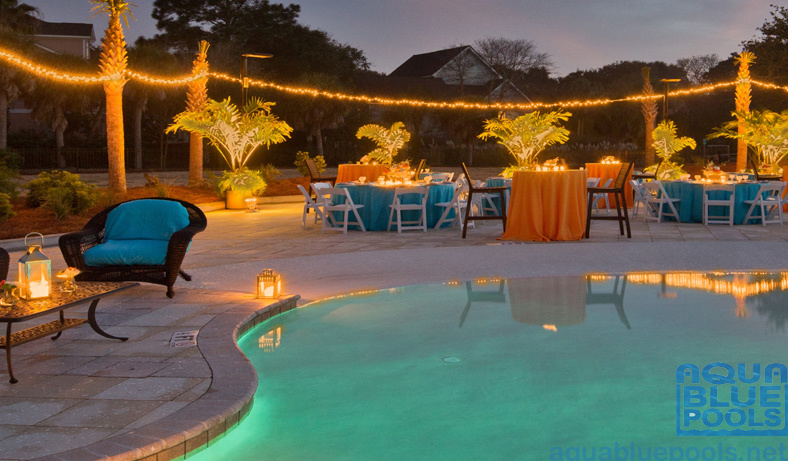 This pool was designed and built to be part of a special outdoor event space. The pool has a beach entry with six bubbler fountains and an attached “kiddie” pool area. Pool interior is white aggregate, tile is Silverstone Rust, the deck is comprised of 16″x16″ Sandstone Shell pavers, coping is tan shell.